To celebrate Halloween I have decided to make a pumpkin soup. This soup is rich and yummy, perfect as a starter or a light meal. 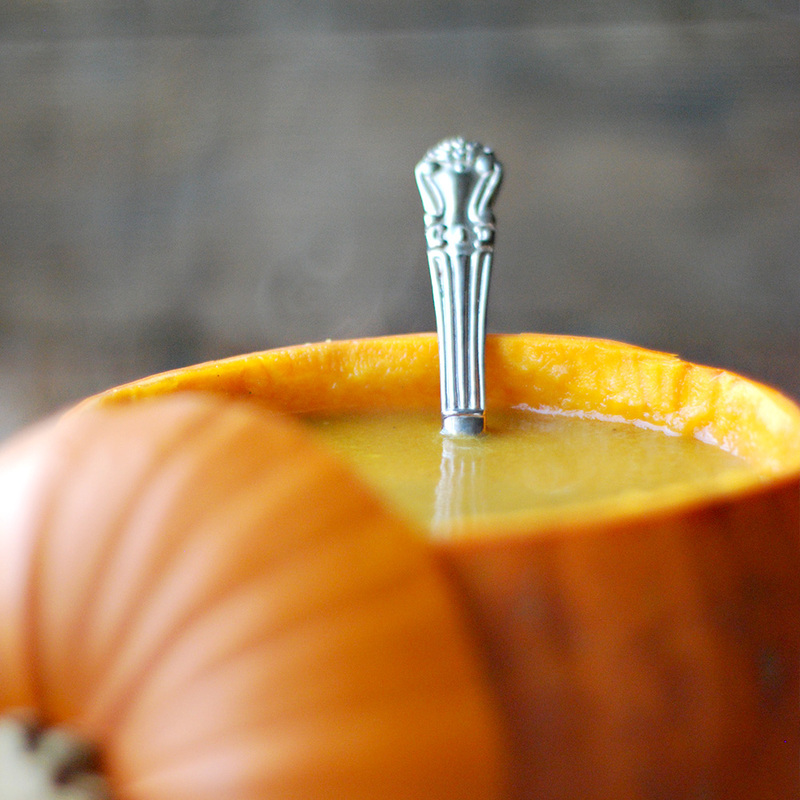 If you can get all of the meat out of the pumpkin try to wash it and serve the soup in it as it looks really nice. Perfect for a dinner party. Add the pumpkin and the rest of the ingredients apart from the tomatoes and cook for about 10 minutes, stirring from time to time. Turn the fire off, add the tomatoes and blend the ingredient on a blender or a hand blender.